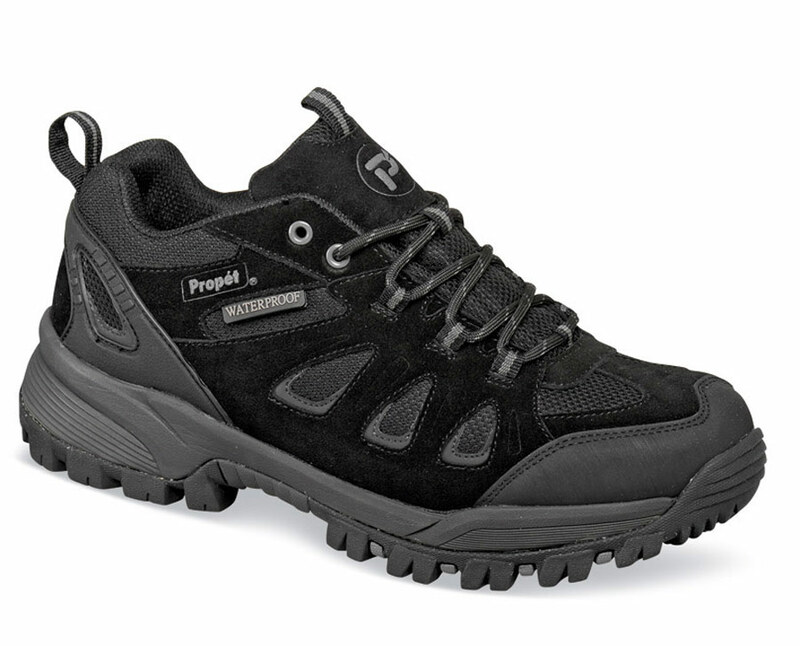 Propét’s black “Ridge Walker Low” oxford is economical waterproof outdoor walker with good looking suede and mesh uppers padded at collar and tongue. Practical rubber toe bumper. Waterproof bootie construction. 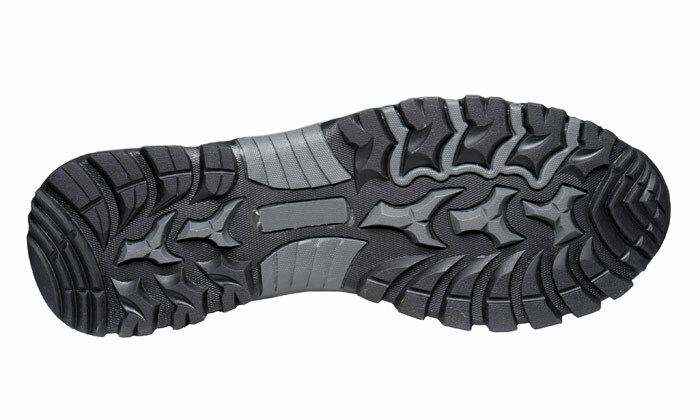 Lightweight, cushioning EVA midsole with a high-traction rubber outsole. Men’s sizes 8–12, 13, 14 and 15 in 3E and 5E.